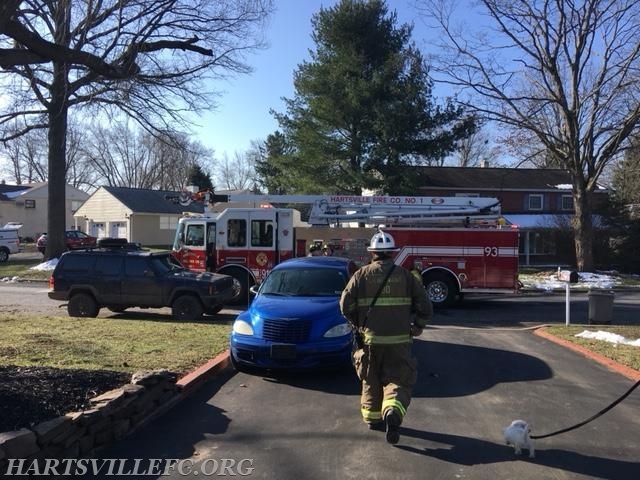 Squirt 93 (Lt. Kirchner) and Deputy 93 (McDonald) responded along with units from Warminster, Warrington, and Horsham for a reported dwelling fire in the 1400 block of Buttonwood Lane. Upon arrival of FM 274 a fire was found in the basement and quickly extinguished. Units checked for fire extension, removed smoke from the dwelling and assisted the Fire Marshal on scene.